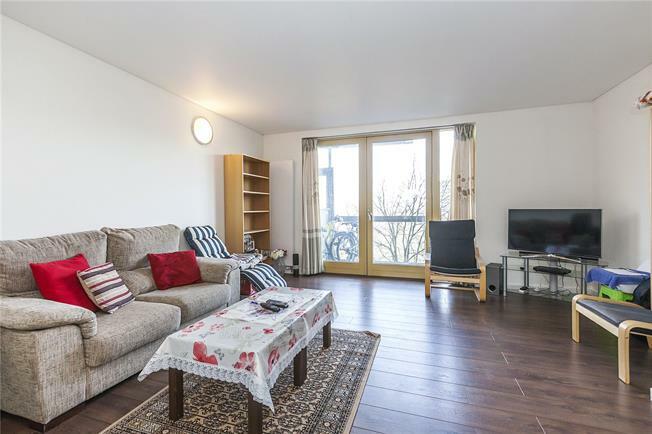 A lovely and bright two bedroom apartment situated on the third floor of Farnsworth Court which forms part of the popular Greenwich Millennium Village development. The property is lovely and bright thanks to high ceilings and floor to ceiling windows in all of the rooms and features amazing living space with the open-plan kitchen and reception room measuring an impressive 7.35m x 4.77m. The balcony is accessed from the reception room and offers lovely views across the playing fields towards the river. Both bedrooms are a good size with the master benefitting from an ensuite bathroom while the second bedroom has use of the shower room. With easy access to North Greenwich Station, the O2 and all the amenities the area has to offer, the apartment would make a fantastic long-term home or rental investment. Farnsworth Court is located halfway down West Parkside at the junction with Osier Lane. There are a number of shops and cafes nearby giving the area its village like feel as well as the hugely popular Millennium Primary School. North Greenwich (Jubilee Line) tube is within easy reach taking you into Canary Wharf in just one stop and the City in a few more while one has access to the world's biggest bands and events at the famous O2 Arena as well as numerous bars and restaurants. It is also with close proximity to the Greenwich retail centres featuring an array of shops and supermarkets including the newly opened Ikea and Odeon Cinema.